At the New Year meet of 2012, New Year celebrations went on until 04:30. 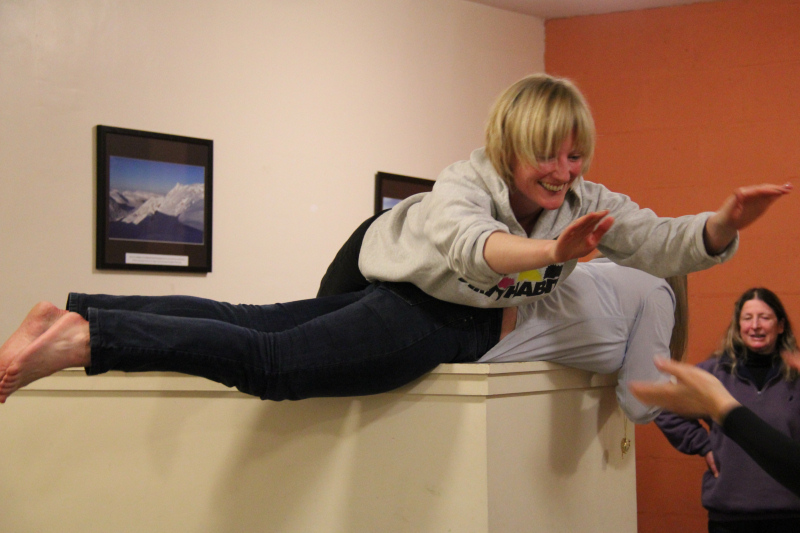 The New Year meet of 2013, was an equally enjoyable but slightly different affair. 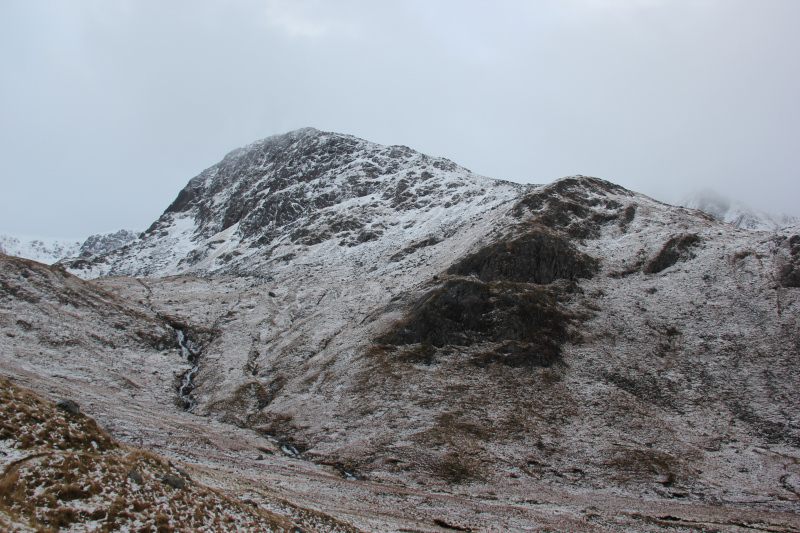 All were tucked-up in bed by 01.00 in order to keep a reasonably clear head for a New Year ascent of Beinn Fhada. With alarms set for 07:00 on New Year’s Day, the group eventually got going around 08:30 once all were fed, watered, suited and booted. 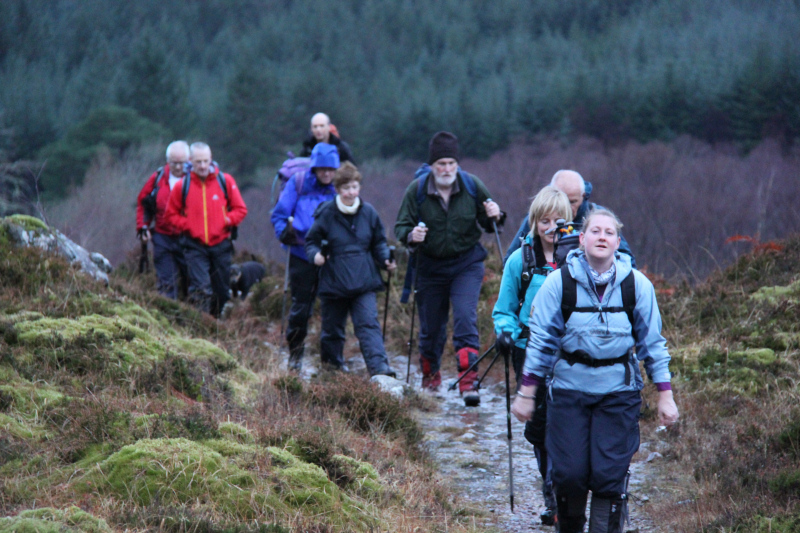 The group mostly walked together for the walk through Gleann Choinneachan. The morning weather was fairly pleasant. 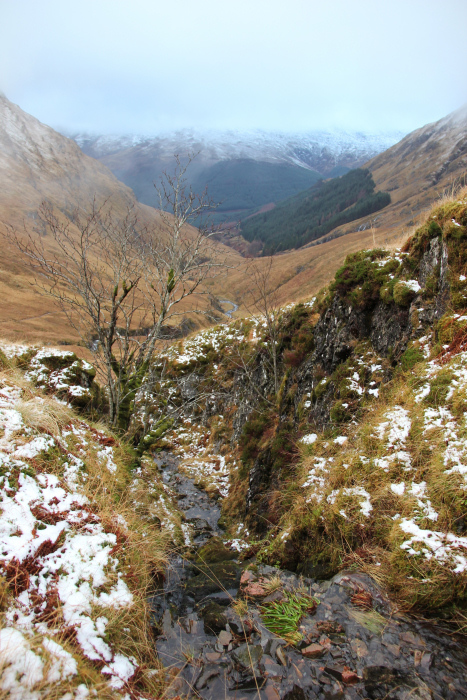 As we walked along the glen we could see that the snowline was sitting around 600m. 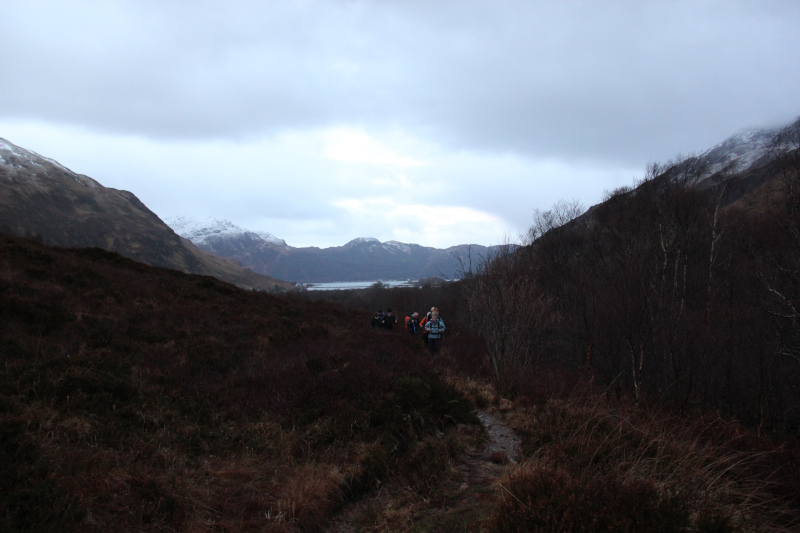 On looking back, I didn’t notice that there were only ten walkers, including myself. A short distance ahead we met up with missing number eleven who unknown to the rest of us had set off a little earlier. This early start was required as while ten of us were heading for Beinn Fhada, number eleven was heading for Beinn Attow . 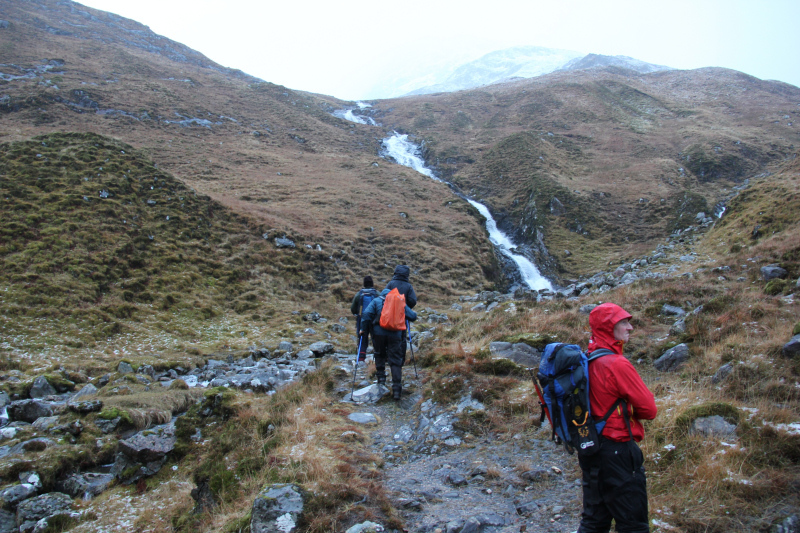 Having successfully crossed the Allt Coire an Sgairne previously, and having failed to cross the Allt Coire an Sgairne previously, I did wonder how easy this crossing would be owing to recent rain and snow melt. Thankfully, it was quite straight-forward. 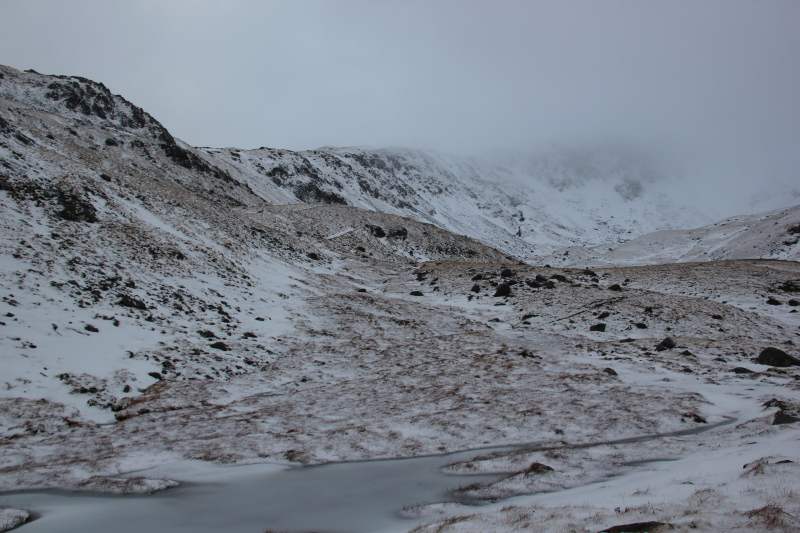 By the time we reached the crossing, the group was already split in two as some had stopped to adjust clothing layers. As we progressed up the hill, the group seemed to split naturally into group “A” - a fast pace group, and group “B” - a not-so-fast pace group. 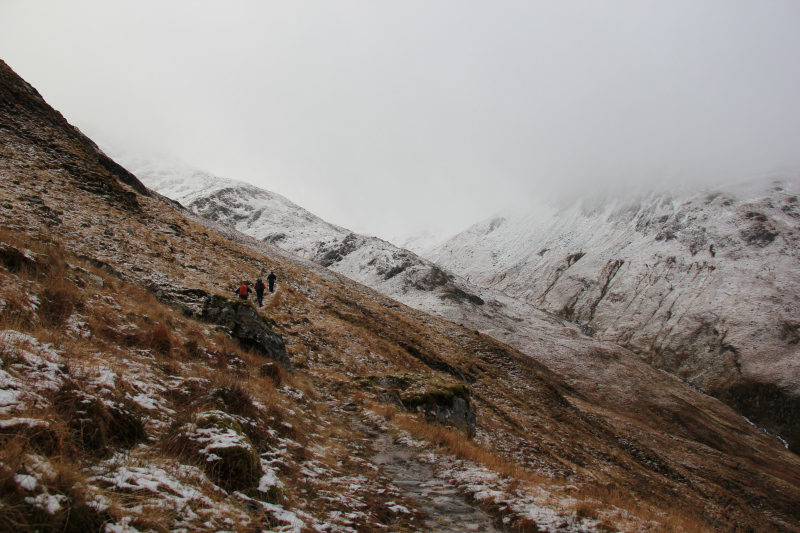 Shona set the pace for group “A” as far as Coire an Sgairne. The ascent was fairly pleasant. 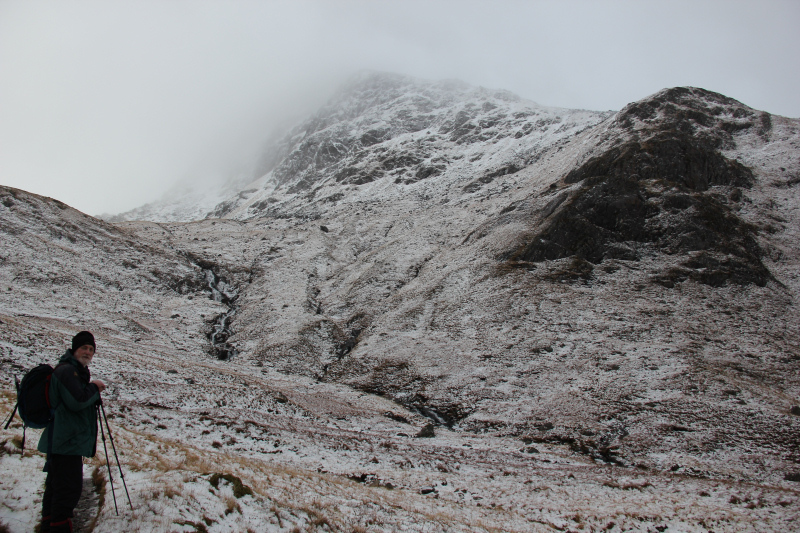 We were soon past the snowline and continuing onwards and upwards towards the North ridge of Beinn Fhada. 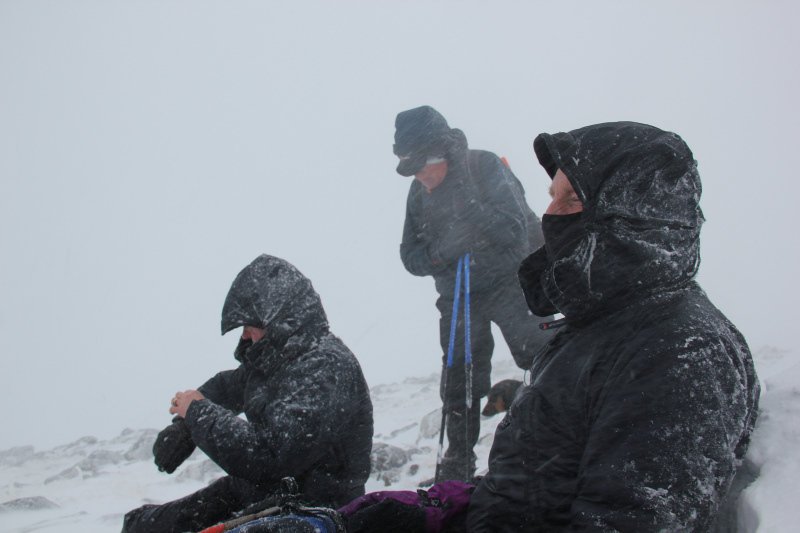 On reaching the start of the North ridge, we had a brief stop to put on some additional clothing as the cold wind was gaining strength with height. 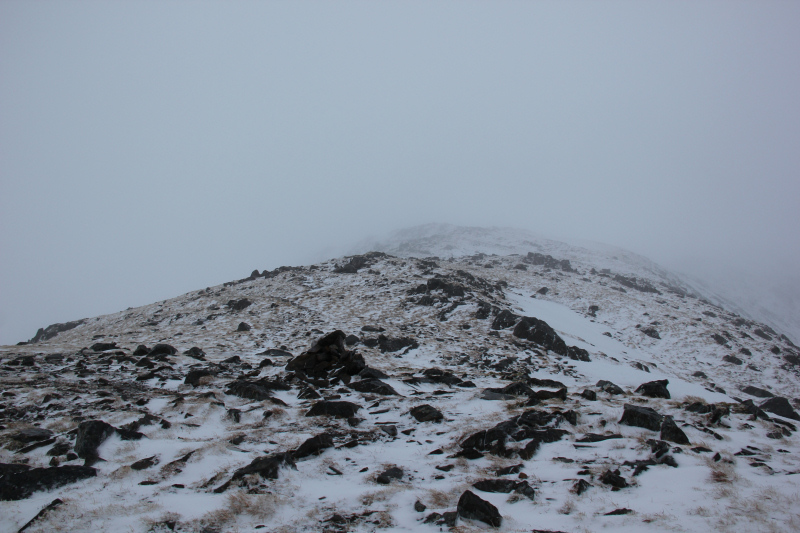 The ascent of the North ridge was mostly up a thin layer of soft snow. 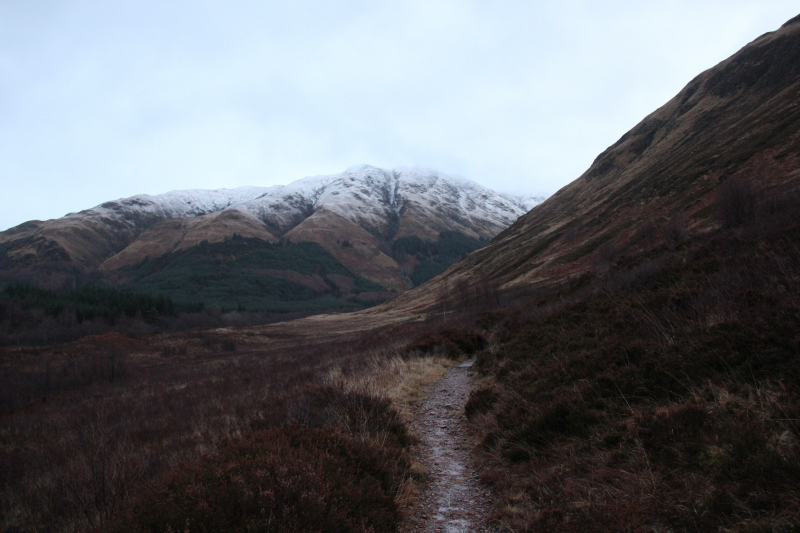 The final 100m or was a little trickier with patches of ice and neve to cross. 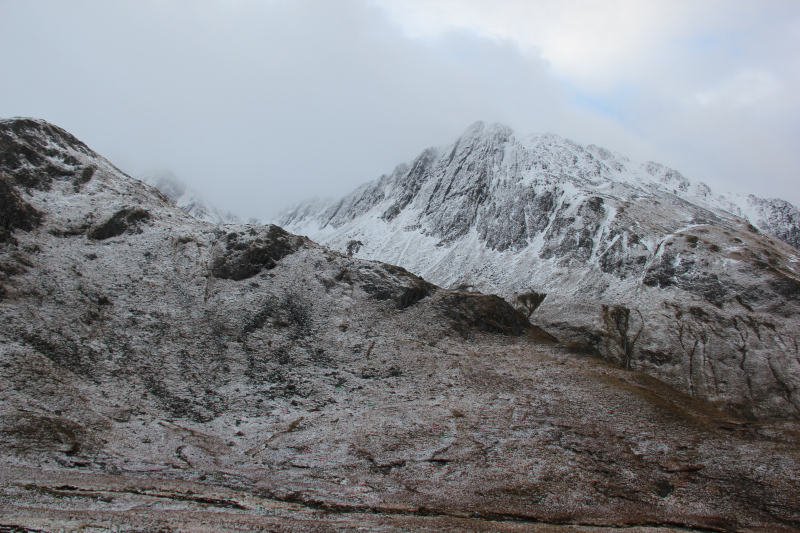 No crampons or ice axe were required though. Group “A” reached the summit approximately 3Hrs 10Mins after setting off from Morvich. We stopped for around five to ten minutes at the summit to have a sandwich and something to drink. 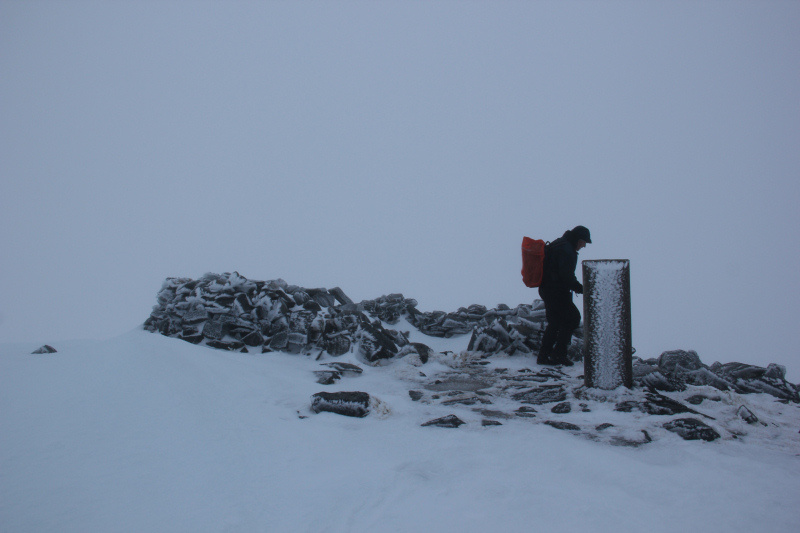 It was fairly cold at the summit and unfortunately there were no views. I was fairly pleased with a present from Santa - new Dachstein mitts which kept my hands nice and warm. 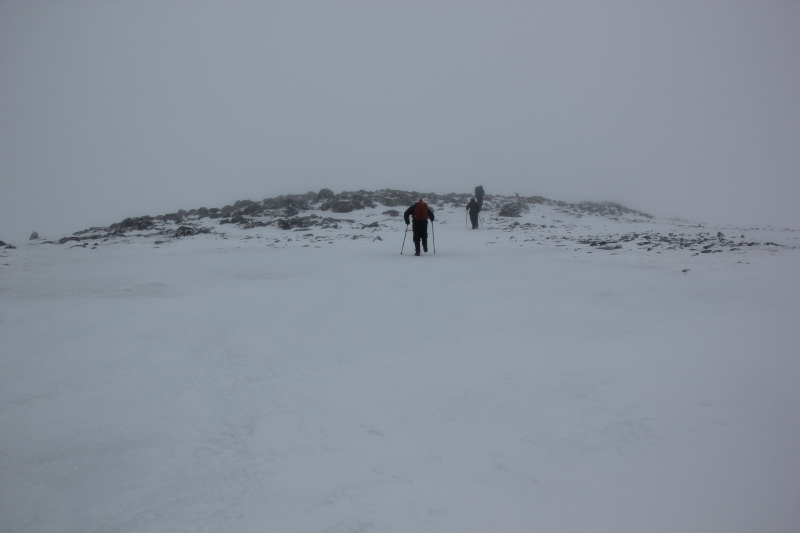 Before returning downhill, I put on my ski goggles and got out my ice axe as we would now be walking into the wind. The ski goggles were useful but I didn’t really need the ice axe. During the descent, we stopped for a very brief chat with group “B” who were heading for the summit. 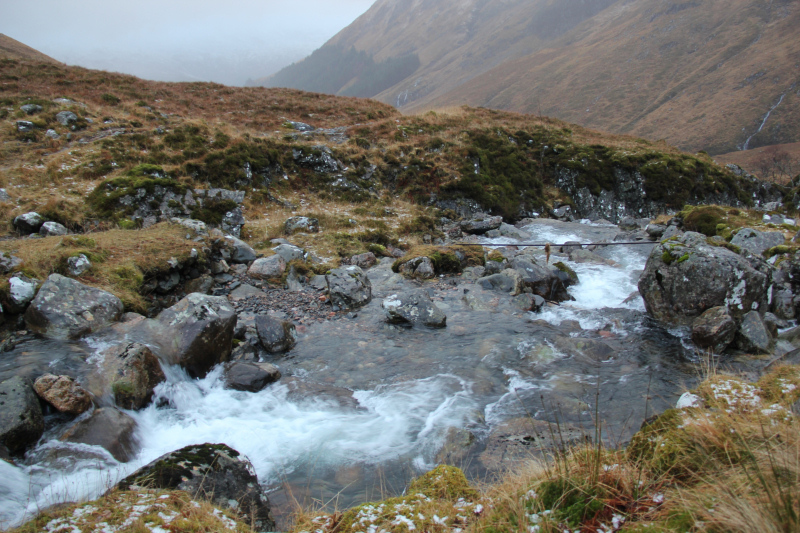 Well done to Rachel (one of the “Himalayan Chicks”) on ascending her 141st Munro (half-way). 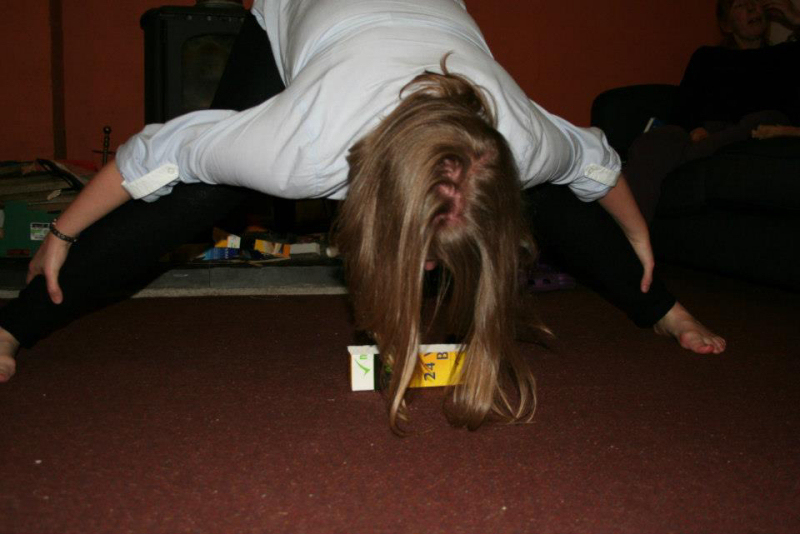 There was a disadvantage to being in the fast party. Group “B”, the not-so-fast party, managed to get some views and also were fortunate enough to see two eagles. 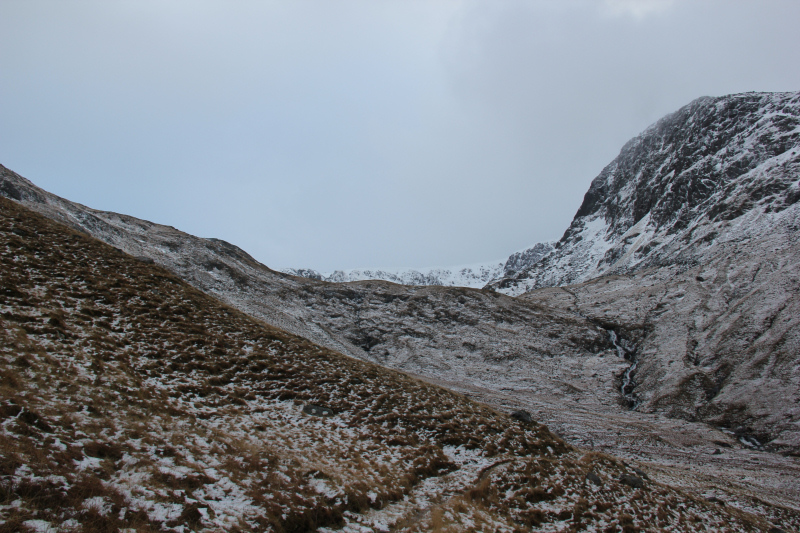 On reaching the path leading to Bealach an Sgairne, Graeme accompanied by Penny TWD continued on to also ascend A’Ghlas-bheinn while myself, Shona and Des returned to Morvich. 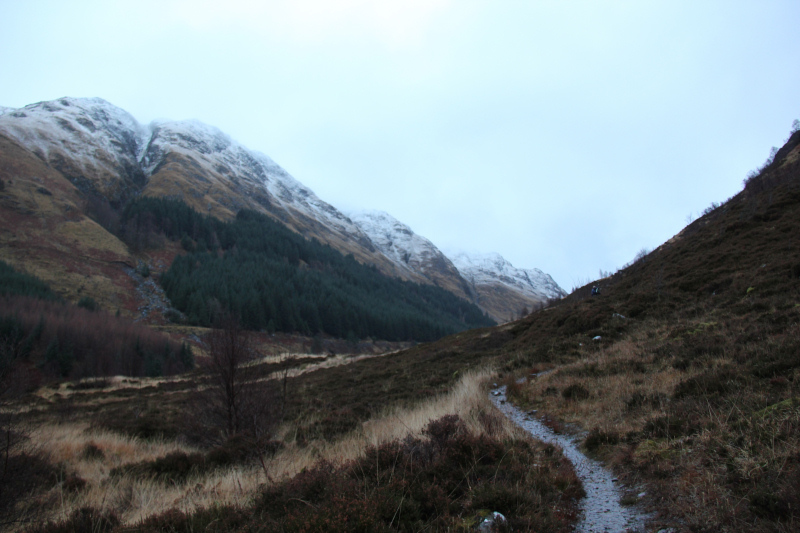 It was great to get back to the National Trust Outdoor Centre in Morvich – excellent accommodation. On getting back, it wasn’t long before festivities recommenced. 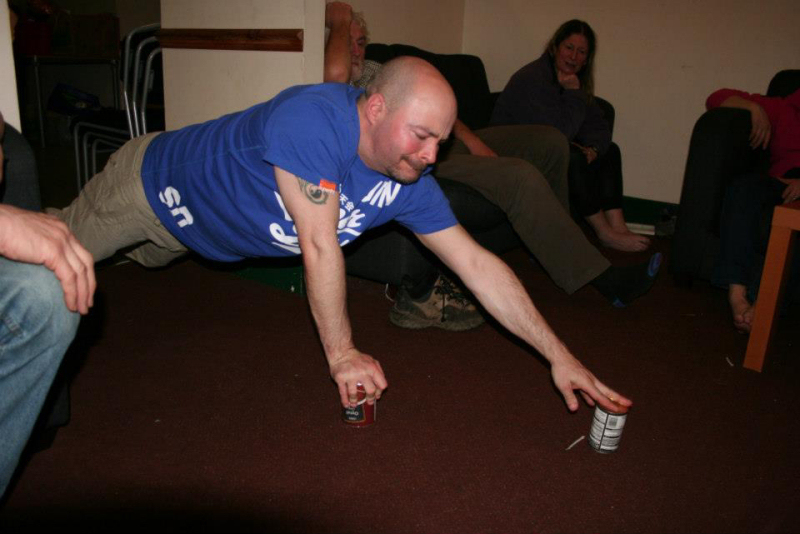 Lots of superb food, plenty alcohol, lots of good banter and a variety of party games . 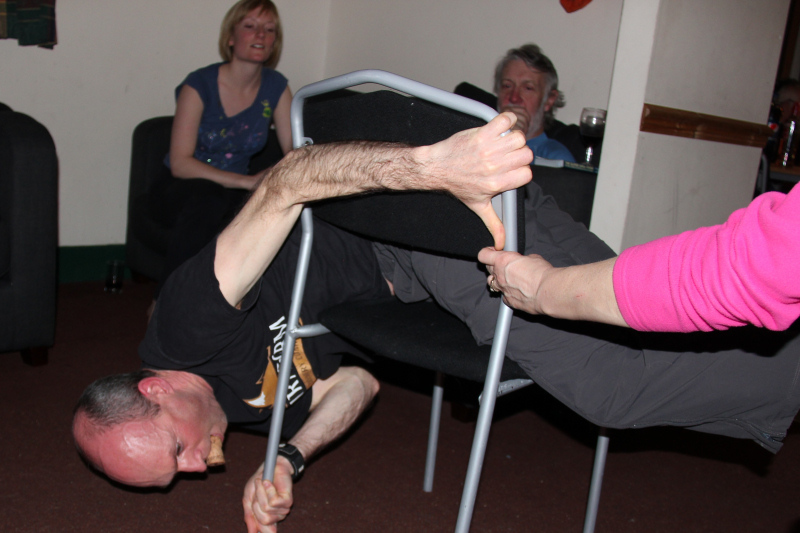 Moray Mountaineering Club – fantastic Club!